Fishing is not unfamiliar to many tourists as you just need a fishing rod, a small amount of fishing bait and after that, finding a suitable place such as a peaceful lake. 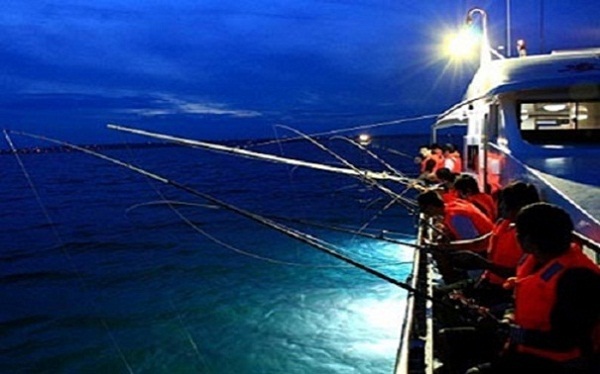 However, night squid fishing is an incredible experience that nobody wants to miss in Halong bay junk boat tours. 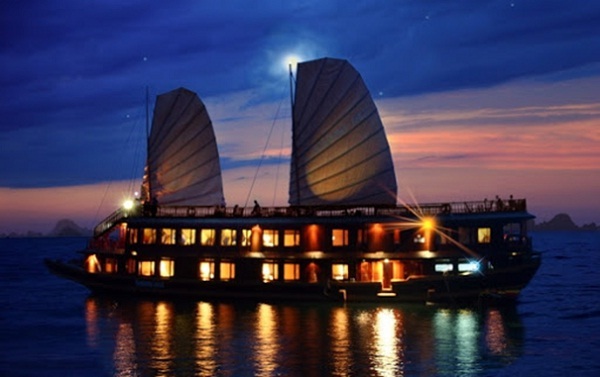 After the dinner, all passengers on Halong bay tourist boats are always eagerly waiting for the night fishing for squid which is considered as the most exciting part in a Halong bay junk boat tour. Each tourist will be given a bamboo fishing rod which is dedicated to squid fishing. 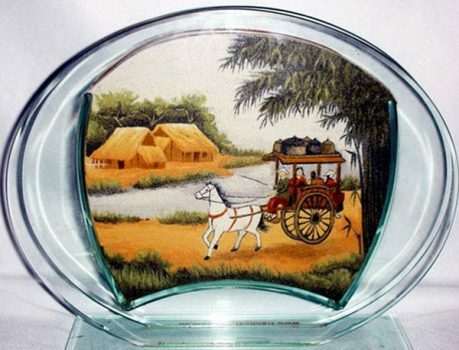 It is quite different in the comparision with popular fishing rod which need to be curved. 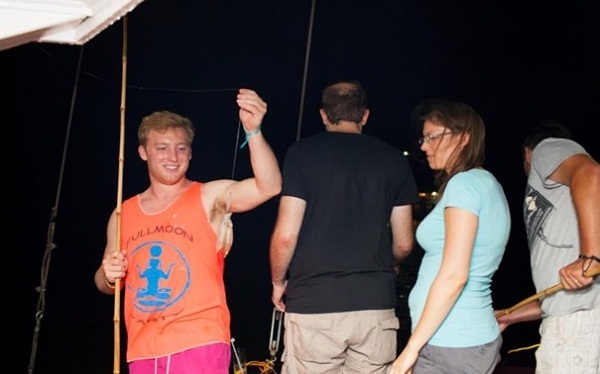 Another special thing that can surprise many tourists is that to fish a squid, we just need to turn on the high pressure light to attract squids move closer to our boats instead of using bait as usual fishing. 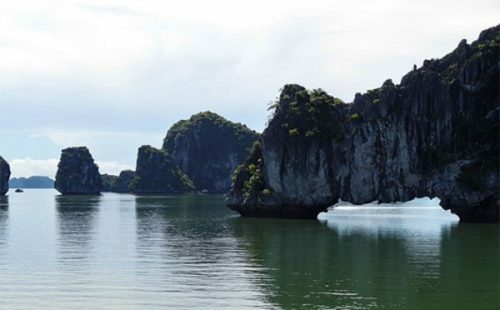 Squid fishing in Halong bay is actually not difficult at all, so easy that anyone is able to catch some. However, squids in the bay are not so big, just as big as two or three fingers put together as they live in the shallow water of the bay. It is really lucky if you can catch some bigger ones like a bamboo tube. 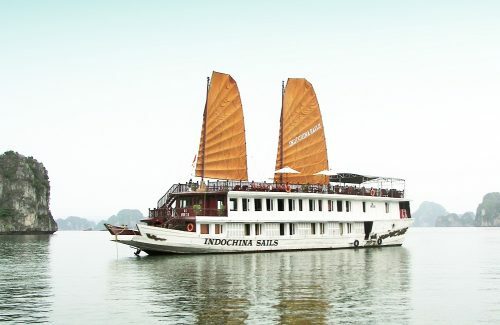 The best time for tourists who love fishing to get on Halong bay junk boat tours is at the time of winter and spring. On the cold days, more and more squids move in the water of Halong bay, thus this is the most appropriate time for squid fishing. Some junk boat tours even facilitate tourists in enjoying fresh squid dishes on the boat with some beers. 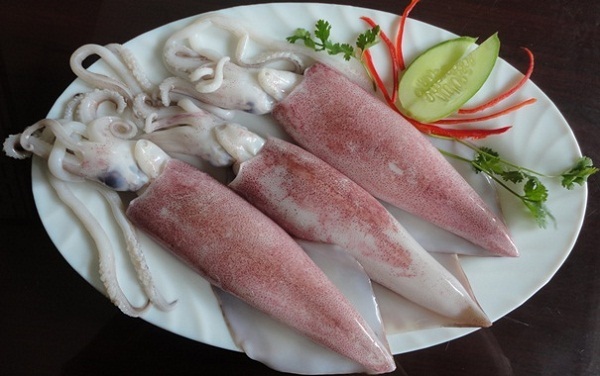 Squid fishing in Halong bay is really an enjoyable experience as you can admire the fabulous beauty of the bay at night while enjoying delicious dishes made from fresh squids which are fished by your own hands.